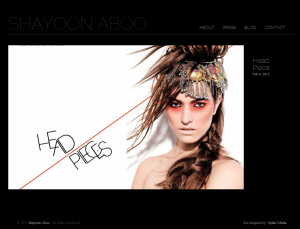 Jewelry Designer Shayoon Aboo needed a sleek and clean website to send clients to after her jewelry debut at New York Fashion Week 2012. We provided a turnkey solution so that her web presence was one detail she didn’t have to worry too much about. All of the content posting in this site is done with just a few clicks so updating it with new photos and information will be a breeze. You are the most talented and amazing source for media needs! Not to mention fast and reliable!! Thank you so much! !